Welcome to the Florida House blog! 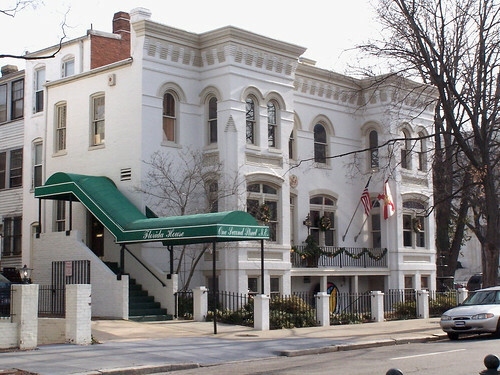 Florida House is the nation’s first and only state embassy located in Washington, D.C. The house was established in 1973 by Rhea Chiles. The Florida House is here to welcome Floridians to Washington, D.C. and provide cultural and educational information to the public. Feel free to stop by to learn more about Florida, the history of our embasssy, and find out where to go in D.C.!